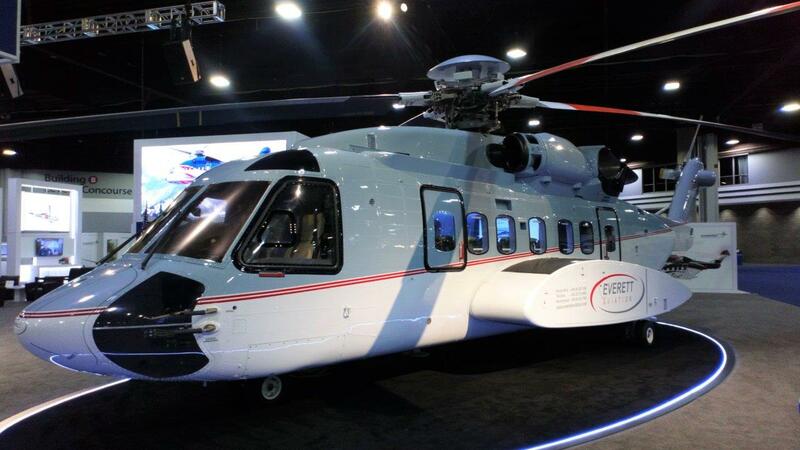 Atlanta, Georgia 5th March 2019 - Everett Aviation today announced the addition of a first Sikorsky S-92A ® to its fleet in readiness for an anticipated expansion of operations throughout sub-Saharan Africa. “We’re delighted to be introducing the S-92A to the Everett fleet,” said Simon Everett, CEO. “Many countries across sub-Saharan Africa are seeing a tremendous boom in infrastructure and civil engineering projects and our new S92 is ideally suited to supporting those missions.” Everett continued. 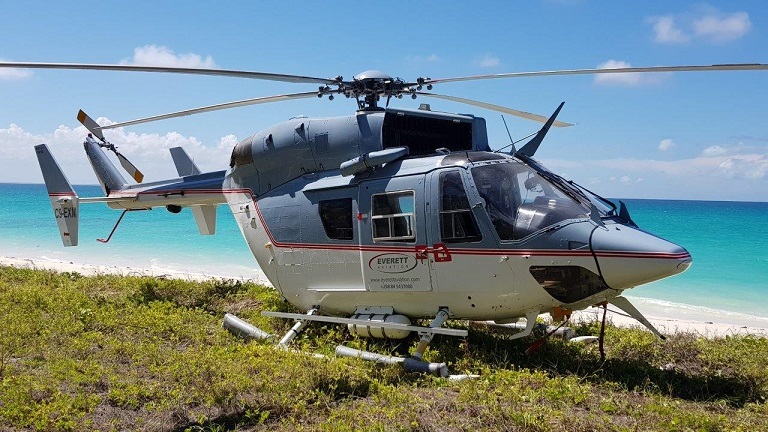 “This particular helicopter is equipped with a highly versatile utility interior which can seat up to 19 passengers in standard configuration, or mix passengers with stretchers or cargo in a combi configuration. We also see opportunities for the S-92A in the offshore role in our region and we plan to offer that configuration to our clients soon.” Everett continued. “This S-92A will be the largest civilian helicopter of its type in our region and we’re very excited about adding this unique capability to our fleet”, concluded Everett. MOCIMBOA, Palma, Mozambique 24th February 2018 - Everett Aviation today announces the re-commencement of operations in Mozambique with the deployment of locally registered BK117-C1 registration C9-EXM, with missions flown this week. NAIROBI 30th January 2018 - Everett Aviation today announces the re-introduction of the AW139 helicopter to its fleet. “Everett has operated the AW139 before for international oil companies in both the crew change and full search & rescue roles,” said Simon Everett, CEO. “Ensuring that we have this popular oil & gas type available is of paramount importance to us and so we have taken the proactive step of mobilising this AW139 to ensure that we remain the first choice for IOGP compliant operations in the region.” Everett continued. 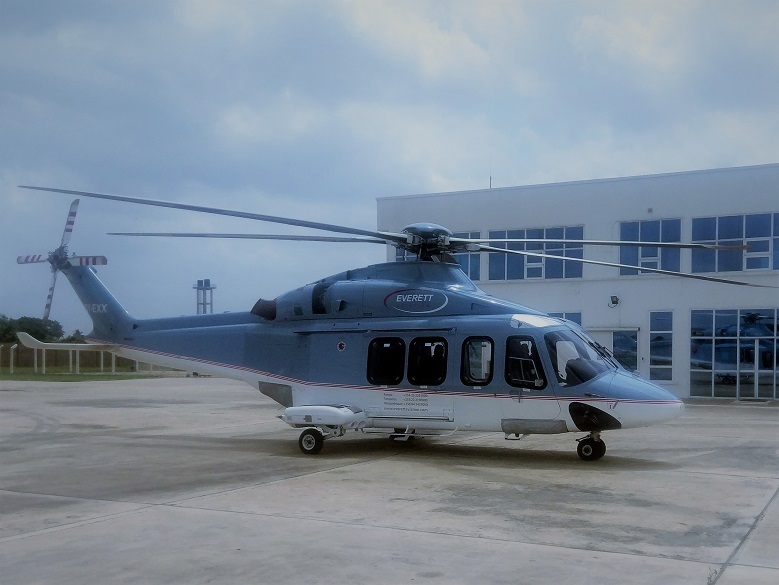 Everett’s AW139 has entered immediate service, operating for Statoil from Everett’s private oil & gas terminal at Dar es Salaam international airport. NAIROBI 14th DECEMBER 2016 - Everett Aviation today announces the award of a major new contract to provide helicopter medevac services to the UK Ministry of Defence for the British Army Training Unit in Kenya (BATUK). At peak periods the contract will engage three of Everett’s BK117 helicopters in medevac configuration. The contract is for three (3) years, with an extension option for a fourth year. “As a regional operator, we are absolutely delighted to have secured this significant contract in the face of serious competition from large international players” said Simon Everett, CEO. “We have supported the British Army for a number of years and we look forward to building an ever stronger relationship as we serve them over the coming months and years. As a Kenyan company, we are equally pleased that this contract will enable us to maintain our commitment to local content and employment which has always been of paramount importance to our Company.” Everett continued. 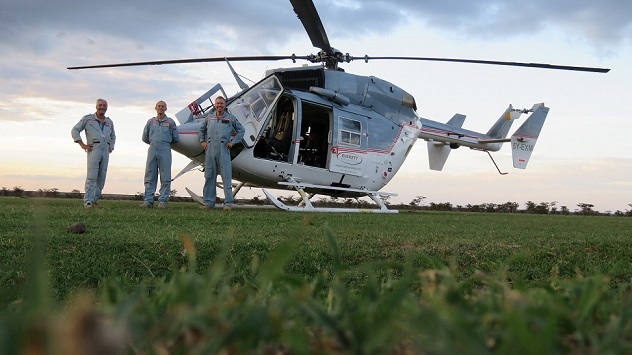 Everett has established a new operating base at Nanyuki in Kenya to support the BATUK mission. Operations commenced on December 1st 2016. Everett welcomes Ian Robinson as Head of Engineering. Ian brings to the Company 37 years of aviation maintenance experience, predominately in the rotary sector. Ian started his engineering career in the UK Royal Air Force before moving into the commercial sector and gaining licenses on a wide range of helicopter types including the S76 family, AS365, Agusta 109, MD900, BK117 series and EC135. Everett website re-vamp in progress. Check back regulalry for new features and information about the Company. Everett is recruiting. We're looking for BK117 licensed engineers & pilots. Check our Careers page for more information. Everett is pleased to announce the addition of a Lake Sea Wolf Search & Recovery aircraft to the fleet. 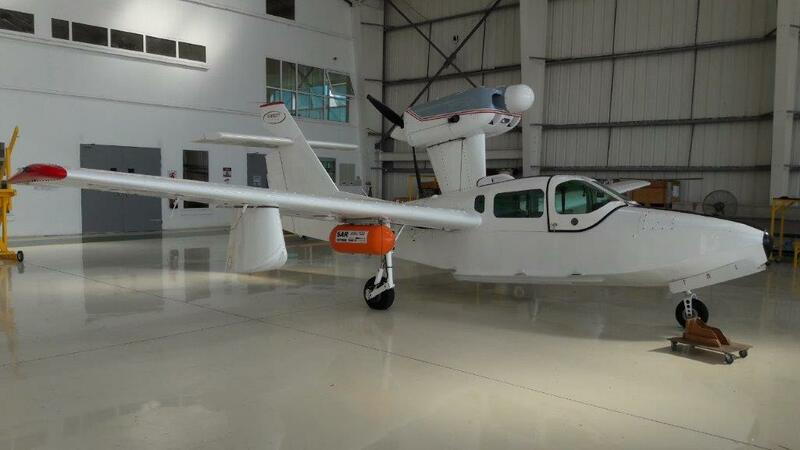 This aircraft is able to provide inshore search, drop rescue equipment or carry out marine patrol / enforcement missions. Everett Aviation is pleased to welcome Duncan Moore who joins as Chief Operating Officer, from Bristow Group. Everett concludes the year having carried 6105 passengers and conducted 672 offshore oil & gas flights from the new Dar es Salaam facility. Everett is proud to announce the opening of its new fully integrated aviation operations & maintenance facility in Dar es Salaam. This best in class facility features a ~2400m2 hangar, a range of workshops & secure stores area suitable for base maintenance, a~7421m2 ramp / apron, a separate VIP handling facility totalling ~880m2 and ~2946m2 of office accommodation. 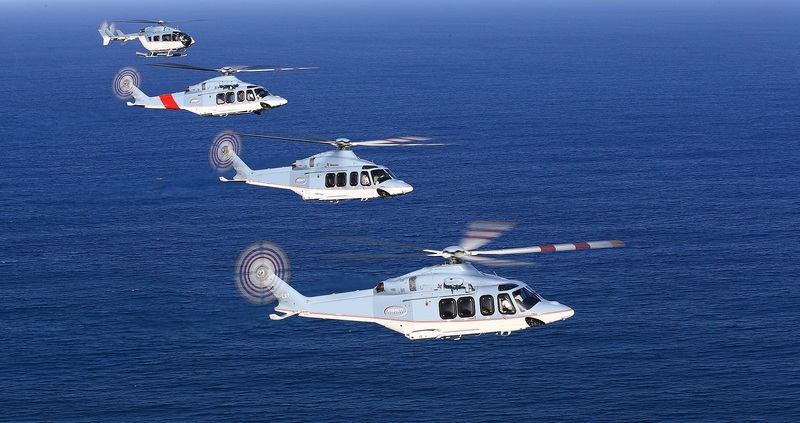 Everett is proud to announce commencement of AW139 operations for Statoil on a 2 ¼ year contract. We will be providing 3 x AW139 helicopters with our partner, Bristow. The helicopters are operating on the Everett AOC with 2 aircraft in crew change configuration and 1 full SAR. Everett Aviation became a member of the European Helicopter Operators Committee (now Helioffshore). The Committee was established to promote and encourage the exchange between members, manufactures and regulators relating to issues of concern to the offshore helicopter industry. Everett Aviation is one of only two members from Africa (www.helioffshore.org). Everett announces re-location of UN mission. After 3 successful years of operation, our UN mission to Iraq operating 2 AMPS equipped BK117s has successfully relocated to Mogadishu, Somalia. The IL 76 aircraft relocated the helicopters and equipment to the new base within a 3 day period. Everett announces new facilities – Mtwara, Tanzania. 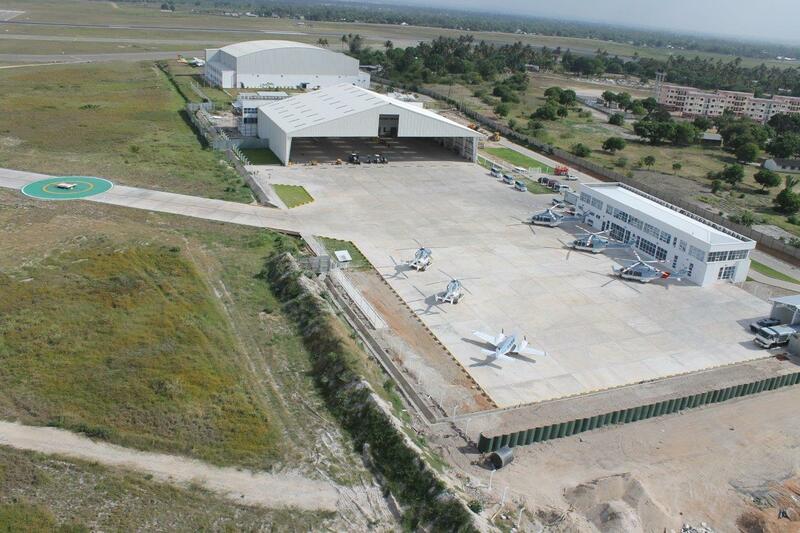 Everett Aviation has established a 1200sqm hangar facility in Mtwara to provide a support base to offshore helicopter services off the coast of Tanzania and Mozambique. Mtwara is at the Southernmost point of Tanzania close to the Mozambique border. The facility includes substantial hangarage, passenger handling facilities including x-ray and passenger screening and self-sufficient JETA1 fuel supplies. Everett adds to its fleet a twin-engine Baron 58 as logistical support to cover regional movements of crew and material. Everett has retired its last remaining single engine helicopter, the AS350-B2. Going forward, Everett will be operating an all twin engine fleet currently comprising the AS355-N, BK117-C1, BK117-C2 (EC145), AS365-N2 and one EC155-B1.